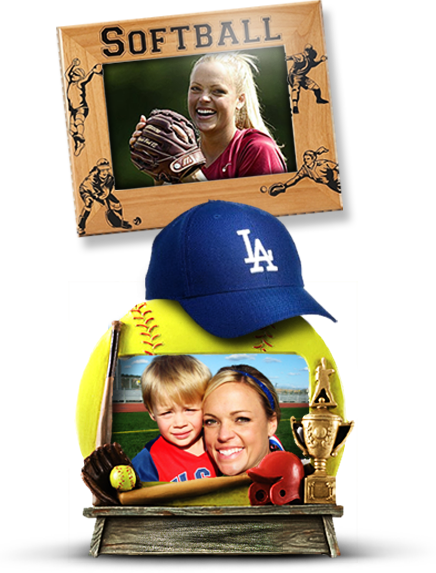 Jennie Finch was born on September 3, 1980, in La Mirada, California and grew up in a close knit family. She is the youngest of Doug and Bev Finch's three children. 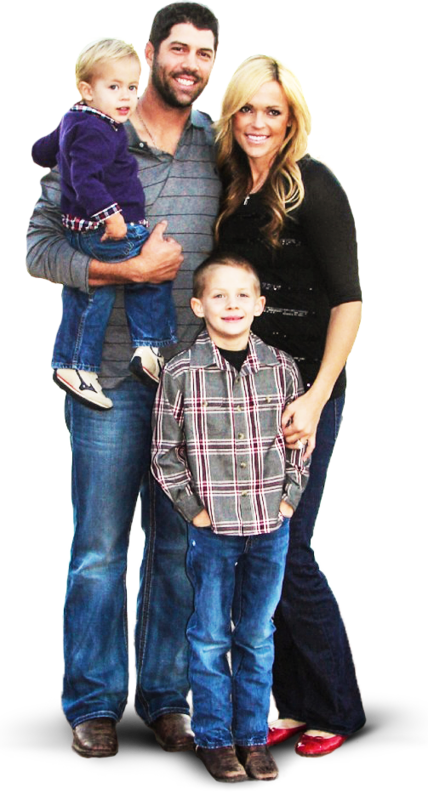 Family is important to Jennie and she credits them for much of her success. Jennie's dad, Doug, spent countless hours working with Jennie over the years. Jennie's mom is a huge Dodgers fan, and between her love of baseball, Doug's infinite patience and devotion, and Jennie's two older brothers who loved to play, Jennie grew up a true blue Dodgers fan with a passion for baseball. She was excited when just after her fifth birthday her parents signed her up for her first t-ball league. She couldn't wait to play just like her brothers, but this was even cooler because girls were doing it. Her love for the game and competitive nature was evident from the start, as was her natural athletic ability. She had great hand-eye coordination, and she was bigger and faster than most of her teammates. She also had a cannon for an arm. During winter vacation in Iowa one year, she celebrated the first snowfall by packing a snowball and heaving it out of sight. Doug did whatever he could to accelerate his daughter's progress. He constructed a batting cage in the backyard, and would sit for hours on an up-ended bucket while she threw to him. He even transformed a small trampoline into a pitch-back she could use on evenings when he worked late. He eventually became her personal coach. Jennie started pitching at age eight and by the time Jennie was nine, she was playing for a 10-and-under traveling all-star team. Every weekend was spent at a different diamond somewhere in suburban Southern California. The more competitive the environment the more Jennie thrived. She hated to lose, and worked exceptionally hard to make sure it never happened. At age 12, she led the California Cruisers to the 12-and-under American Softball Association national title in Chattanooga, Tennessee. Every summer, the sport took her to a new part of the country for a national tournament. In 1995, Jennie's ASA team captured the 14-and-under crown. Athens was a remarkable time for Jennie and her teammates, not least because of the unexpected and deeply felt loss of Sue Candrea, Coach Candrea's wife. She had been the team mom in Jennie's eyes for so many years, and she along with her teammates mourned their and their coach's loss. It was also Jennie's first Olympics and constantly reminded herself that this was the same game she'd played since childhood - just with more fans in the seats and on an international stage. The team dominated their competitors and won the gold. Sports Illustrated hailed them as the greatest team of all time. It was a heady experience for a young woman, and Jennie enjoyed every minute of it. The extreme honor of representing her country in international competition wasn't lost on Jennie. She loved wearing the USA letters in the Olympics best of all. Jennie returned home from Athens and her popularity soared. She appeared on late-night shows with David Letterman and Jimmy Kimmel; magazines including Glamour and Vanity Fair ran features on her. She was famous. She struggled with the notoriety, which in a team sport is sometimes a problem. In the end she, as a devout Christian, made peace with her fame because she felt she could use it to be a role model to young women and to help grow the game of softball. Endorsement deals from major brands including Sprint, Bank of America, and Mizuno followed and allowed Jennie to continue to play. She created a signature line with Mizuno that featured a bat, batting gloves, shoes and mitt with her name on them, and together with Mizuno pioneered the use of pink in women's softball equipment. Pink and black became her signature. In early 2005, Jennie and Casey were married. She continued to play softball for the USA National Team and for the Chicago Bandits, a National Pro Fastpitch team. The following year, in May of 2006, a mere six weeks before competing on the international stage, Jennie and Casey had their first baby, a little boy appropriately named Ace. Through it all Jennie kept training and pitching. Her love for the game never flagged, nor did her competitive spirit. She was looking forward to the next Olympics. In 2008 in the lead up to the Olympics, the U.S. embarked on the Bound 4 Beijing Tour -- 46 stops over several months aimed at bringing the teammates closer together and fine-tuning their play. They zig-zagged across the country and Jennie took Ace on the road with her for most of it. She was, as ever, supported by her family throughout the tour. Her parents and Casey's, as well as aunts and cousins and in-laws came along for different stretches to help out with Ace. It was a bittersweet time for teammates who had played together so long, knowing that a decision was pending with the International Olympic Committee about whether or not the sport they loved would continue as part of the Olympics. This could be their last Olympics together. Jennie and her teammates took every opportunity to lobby the public and powers-that-be for support. The trip to Beijing was a mix of familiar and new, and Ace and Casey stayed up late every night to watch from home. The faces that were so familiar to Ace - BooBoo (Crystal Bustos) and others - were on TV! But the long road ultimately ended up with a heartbreaking loss, first in the Olympics to Japan in the final game, and then with the vote to eliminate softball from future Olympics. Following the Olympics Jennie quickly regrouped and looked toward the future. She turned to her family and with their help and support continues to act as ambassador for both the game of softball and for female athletes in general. In a game that has grown so much, she's excited to continue to play and now to meld her love of teaching kids with her love of the game. She conducts camps across the country and has her very own softball academy in Flemington, New Jersey. She's giving girls opportunities to learn and grow. She wants future generations of young women to learn about the values that are taught on the field of play and reap the rewards she did as an athlete. RT @AdiaBarnes: WE ARE ABOUT TO BE SOLD OUT! Over 12,600 tickets sold!! Let’s go! !